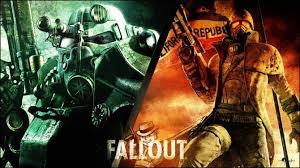 Tale of Two Wastelands Requires BOTH Fallout 3 and New Vegas, it will take files out of your Fallout 3 folder and put them into your New Vegas folder along with patches and things to make them work together. In essence, you'll be running NV, but also have modified Fallout 3 content. Tale of Two Wastelands comes with the script extender, stutter remover, 4gb patch, plugin optimizations, ini optimizations, and more, these are all a part of the installer. Note that installing on my fast hard drive took 10 mins, installing on a SLOW hard drive may take a couple hours.